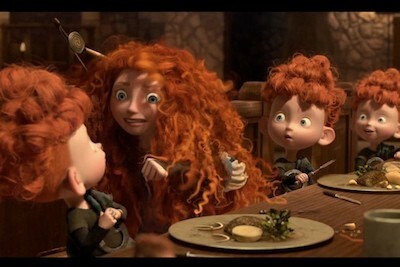 Film Does Brave have enough room for kids? They’re always making these very ornate, complicated, technologically fancy pictures for children. But what they forget is that children like to fill in the spaces. They don’t need it to be so expensive and fancy. It’s the parents who need that. The children, you just give them cardboard and sets that are very amateurish and they can transform it. A lot of people forget that they have that gift. 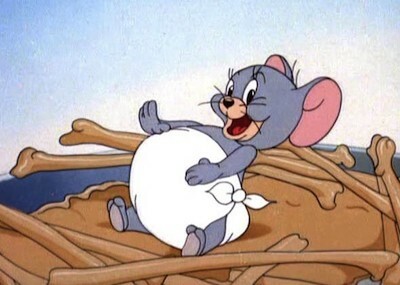 A lot of the charm of the movies for children is lost because there’s so much money spent to outdo the effects of what was done the last time. It seems a little bit in vain. With these words, Solondz sums up my ambivalence about the recent Pixar release Brave, which I caught up with last week. I enjoyed the film only insofar that its design was richly imagined; the story didn’t engage me much at all. Basically a benign version of Jay Ward’s “Fractured Fairy Tales,” Brave sends up fairy tale conventions in order to promote contemporary ideas of gender equality and progressive parenting. It’s admirable if never quite awe-inspiring. Whereas the best Pixar films (Ratatouille, WALL-E, Up) are so packed with incident that their heroes’ fulfillment feels secondary, the plot of this one is a straightforward march to the heroine’s reconciliation with her bossy mother. Watching it, I found myself uninterested in the characters (and I could have done without the heroine’s mute, gluttonous younger brothers, cloying comic relief in the line of Jerry’s pipsqueak nephew from the lesser Tom and Jerry cartoons) and more fascinated by the realistic textures of the tapestries, wood planks, stones, and hair. I wondered if the small children at City North 14 with whom I saw the film appreciated those things. As their understanding of reality isn’t fully formed, how can they recognize the creative work that goes into replicating real things? More importantly, do the movie’s intricate surfaces deny those kids the pleasure of filling in spaces, as Solondz puts it? It’s worth noting that the kids in the audience didn’t seem as spellbound as the small children I saw at the Siskel Center’s recent screening of My Neighbor Totoro, which is slower-paced and less intricately designed than Brave. Totoro appeals to small children by presenting them with a few details, then giving them time to follow him along to the next. (More than any other film by Hayao Miyazaki, it conveys the animator’s extraordinary sensitivity to the psychology of the very young.) Brave, on the other hand, is constantly racing ahead, even when it’s only introducing minor plot points. Perhaps the broad characterizations make up for the overstimulating pace and detail. I can see the appeal of those characters (the king voiced by Billy Connolly, the witch voiced by Julie Walters) who are more caricaturish in design; they offset the intricacies of the fabrics. It’s possible that the very qualities of Brave that strike me as simplistic are deliciously open-ended for the grade-schoolers in the room, who can fill in the gaps of Pixar’s storytelling with tales of their own. In the latest Pixar animation, the mind of an 11-year-old girl becomes the stage for a great adventure.